Humans may not be able to stop climate change. But they can take preventative action to mitigate it’s effects. The Rockefeller Foundation is kicking off a $100 million project to make cities more resilient in the face of more powerful storms and rising tides. The foundation associated with one of America’s most iconic, historical names is launching a challenge to bring better resilience and sustainability to cities around the world. The Rockefeller Foundation announced Tuesday that it will invest $100 million into cities worldwide to help make them better equipped for the ecological challenges they may face in the future. The 100 Resilient Cities Challenge will find and award cities across the globe that show a current effort and clear desire to change their infrastructure to ward against future disasters. “[We are] looking for their innovations and examples of interventions they will pursue such as emergency management learning mechanisms, new water waste systems, innovating ideas for urban housing and land use planning focused on resilience principles,” Rodin said. Last year’s Hurricane Sandy showed, in vivid terms, that infrastructure in even the most advanced economies is ill-equipped to handle the effects of a storm. Hundreds of thousands of East Coast residents were left without power and thousands lost their homes in the aftermath of the storm because there were little to no preventive measures in place. 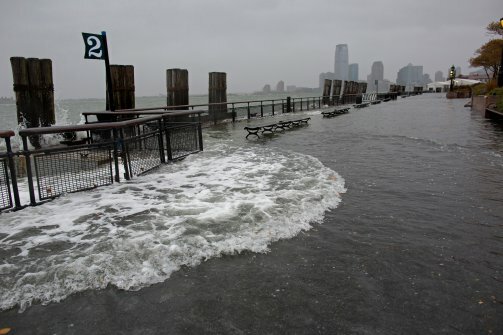 New York faces the prospect of building new sea walls, which New York Governor Andrew Cuomo estimates could cost at least $10 billion. The Rockefeller Foundation believes the effects of climate change may be out of our hands. But the way humans plan for those effects is not. Although changing infrastructure and construction in general can be expensive, Rodin says it will save money in the long run, as well as lives. “Sometimes it takes the most shocking shock to finally create political awareness and get public acceptance of spending the money,” she said. Through the 100 cities Challenge, the Rockefeller foundation will jump-start change by funding and working extensively with the cities chosen to help grow their specific plans and to help implement them. One of the perks offered by the challenge is help from a list of professionals the foundation will keep on retainer. The foundation will also help chosen cities find outside sources of revenue and investment. “We have a tremendous amount of experience in what the policy framework needs to be in order for a city to be ready and be a good partner for private capital investment and we think our 100 million dollar investment in this will help leverage hundreds of millions if not billions into the infrastructure for these cities,” Rodin said. Each chosen city will also be assigned a Chief Resilience Officer who will help maintain the soft infrastructure projects in each region and manage the overall vision of the program. The foundation has worked previously on a smaller scale with cities in Asia and India to help modify land use and create buffers to thwart the effects of flooding and spreading of disease. By investing in 100 cities across the globe, the foundation hopes to create a network, where cities can share techniques with one another and will serve as a reference point for outside cities to join in the effort.